Say hello to the talented Mr Painter. 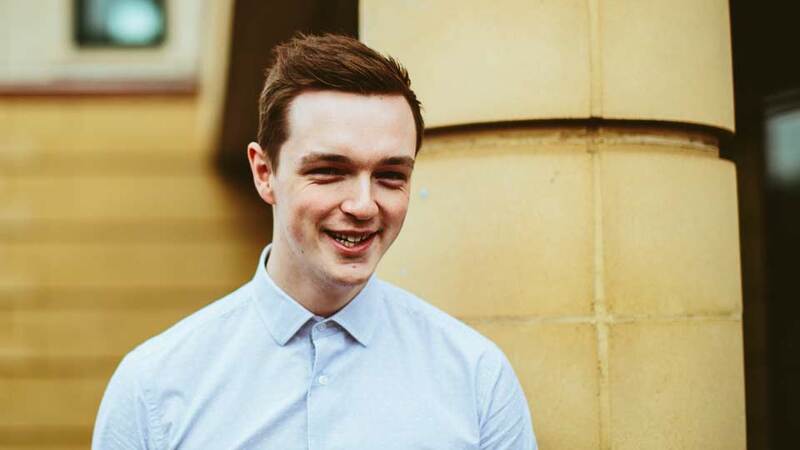 Danny joins our growing Derby design agency, bringing his animation and digital publishing genius to the team. Since graduating Danny has spent time working with a major international agency in London, but is happy to be back in Derby. Following a successful interview in November, where he impressed us with his digital publishing and animation know-how and with a portfolio of work that includes The Tate, Microsoft and Martini Danny has hit the ground running. Danny is a keen drummer, so we are one step closer to the Revolver Revolver band, we just need a vocalist and some strings. For the more musically inclined Danny’s choices for the studio playlist so far are, Hold On – Alabama Shakes, Losing You – Solange, Tesselate – alt-j, Black Magic Woman – Santana. Where do I start? Working in London after I graduated from the University of Derby opened my eyes to whole new perspective of design. The pressure of time. The pressure of quality design. I commuted from Derby for the whole duration, everyday. It was tiring, but I didn’t care. It was exactly what I had imagined work in Graphic Design would be like. They had gorgeous clients, a gorgeous studio, filled with gorgeous people whose talents excelled in the creative space. My aim was to bring a little slice of that back to the midlands, not the mechanised churning of design for designs sake, but the styling and the attention to detail. Favourite toy: Using a coat hanger as a steering wheel and making “bruuuuuummmmm” noises as I zoomed around the house. I was a simple child.